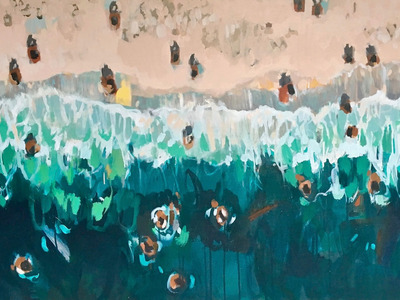 Affordable Art Fair‘Emerald Shoreline’ by Nina Brooke. 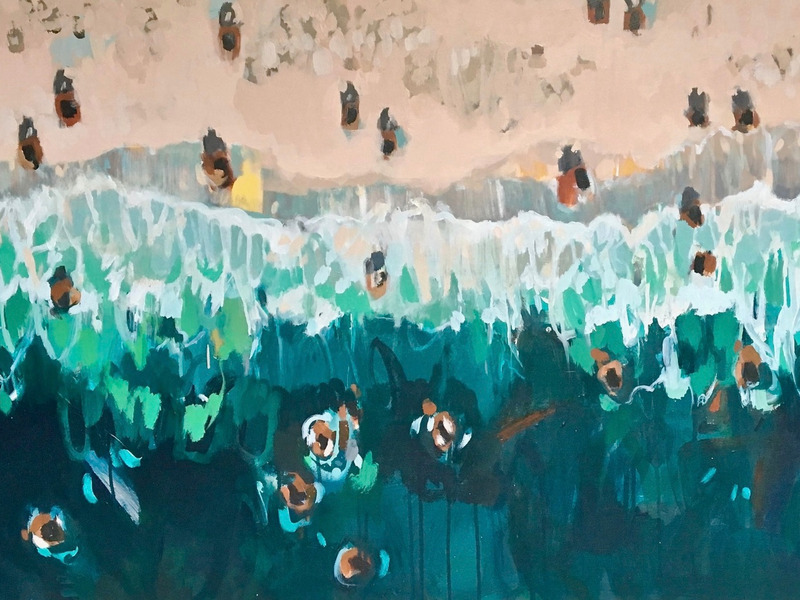 The Affordable Art Fair in London, which runs from 18-21 October, presents thousands of original works every year, priced from just £100 ($US131) to a cap of £6,000 ($US7,889). 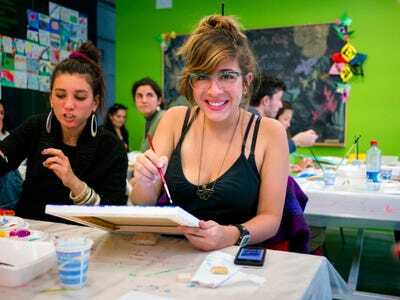 Unfortunately, not all art schools are born equal. “Statistically some of the bigger institutions, like Central Saint Martins or the RCA, have produced more successful artists,” Costello says. 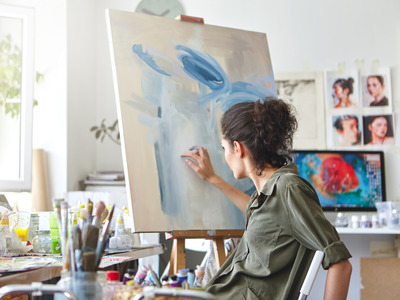 And, although she stipulates that “this should never be a bigger factor than the quality of their work,” it can sometimes be a safer investment to buy art produced by graduates of the more prestigious institutions. “Whilst buying from the artist direct can feel like you are ‘cutting out the middleman’ this can be problematic both for artist and collector later on,” Beadle says. Buying from galleries guarantees the collector with essential credentials and documentation of their work, which is key if you want to sell the piece(s) on in future. It also allows you to build a relationship with the gallerist, Beadle says, who can inform you of trends and developments in the art market, and offer you wider context on purchases. “Gallerists are the professionals in selling art, knowing art, doing their homework and presenting it in a retail situation to a visitor and being able to have conversations about all of their artists,” Costello adds. This has benefits for the artists too, she says, as they are then free to focus on their craft, rather than travelling the world’s art fairs and keeping their social media accounts going. 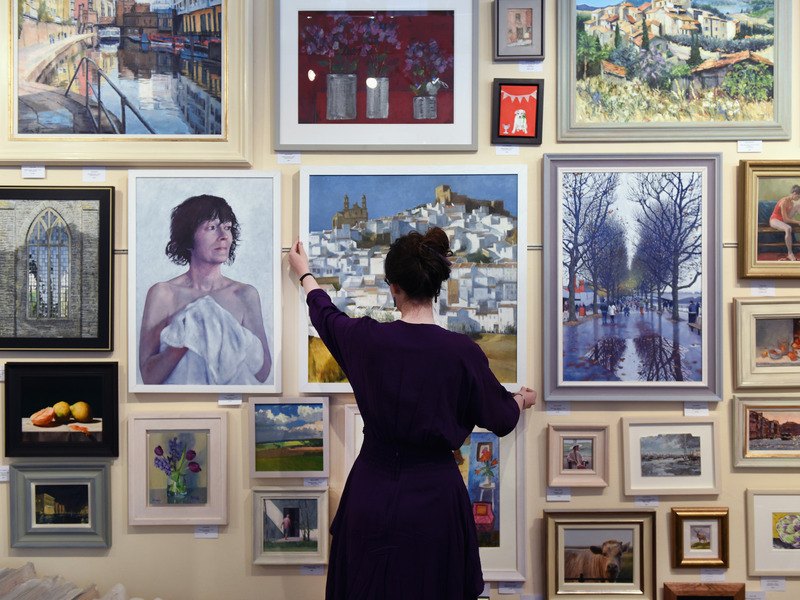 Hopefully, if you’re in the market for some artwork, you’re planning on putting your purchases up on display, rather than hiding them away in storage somewhere to gather dust. If so, it helps to have a place in mind before you buy. “Consider the light, other decor in the room and whether or not there is access,” Costello says. If you want to be really organised, it’s prudent to have an idea of measurements before visiting a fair or gallery, Costello adds. 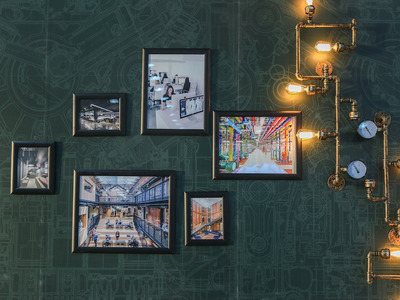 If your art doesn’t match your decor, it may be worth reconsidering the latter. While interior trends may come and go, good art will last forever, Costello says.